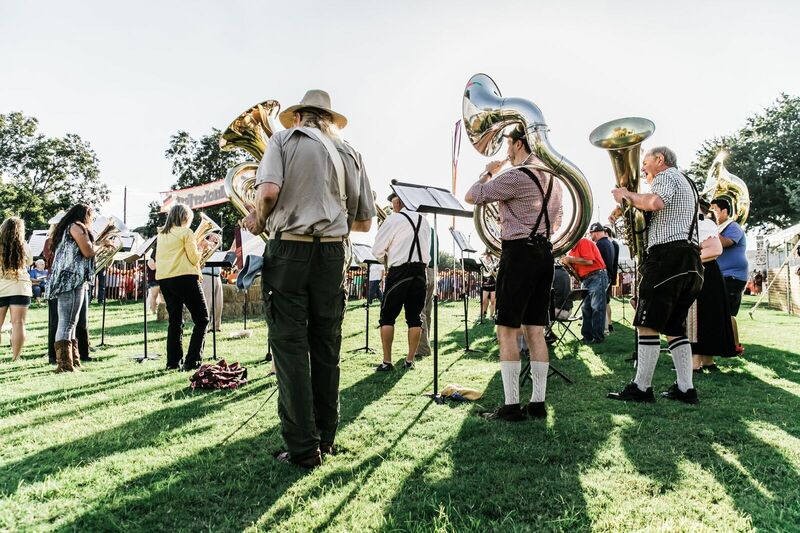 Texas Hill Country is famous for Octoberfest, and from October 5-7, 2018, Frederickburg gives you “Oompah at its best!” Enjoy three days of German music, dance, food, drink, artisans, and fun for the family. When you stay in one of our Wine Country Cottages, the Octoberfest festival in Martketplatz is just a short walk down Main Street. Coming with friends? Each of the three guest suites in our Wine Country Farmhouse accommodates two adults. All weekend, you can enjoy music and dancing on four covered stages featuring over 25 different bands. Listen to the sounds of performers ranging from the Akkordion Klub and Austin Polka Band to Oma & The Oompahs and Yodel Blitz. You’ll hear Czech Melody Masters, Swingin’ Dutchmen, German Schuhplattlers, and the Fredericksburg Filharmonic, of course! Visitors will feast on German specialties like potato pancakes, sauerkraut and all kinds of sausages from Bratwurst to Weisswurst. Beer lovers can sample over 50 German, Texas, and domestic brews throughout the festival. On Friday, you can Meet the Shiner from Spoetzl Brewery, then enjoy the Samuel Adams Stein Hoist on Saturday afternoon. Other special events during Fredericksburg’s Octoberfest include OkTUBAfest with tuba and euphonium players on Friday afternoon, the Hauptstrasse Chicken Dance on Saturday morning, Beer & Hymns Saturday sponsored by Pedernales Brewing Company, plus the Strassen Zelt 42 Domino Tournament and Lederhosen Contest on Sunday. You’ll find plenty of artisans displaying their art and handmade crafts at our Texas Octoberfest. Two tents will display art and collectibles created by over 40 juried artisans, and a third will host a special exhibit of works by Texas Hill Country artists. Visit the Fredericksburg Octoberfest website for a complete schedule of events and entertainers. Sunday, October 7, 2018, rom 11:00 am to 6 pm. Admission: Single Day Admission: $8.00 adults; $1.00 for children ages 7 – 12; children 6 and under free. Two-day passes are $14.00; three-day passes are $18.00 per person. Advance tickets may be purchased online or at the gate. Octoberfest is presented by the Pedernales Creative Arts Alliance. 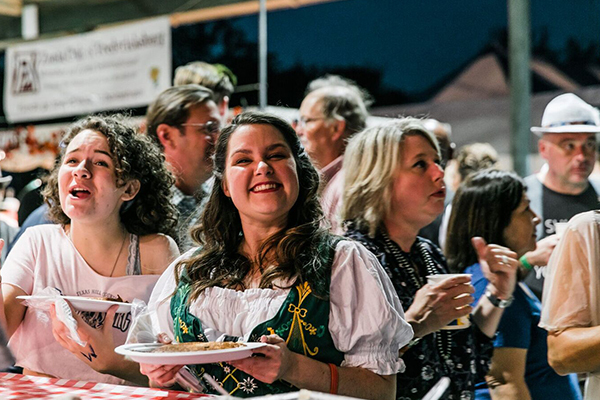 All Oktoberfest proceeds are used to fund youth arts and music scholarships and to support the local arts, including the summer MarktPlatz Concert Series. Images courtesy of Octoberfest. 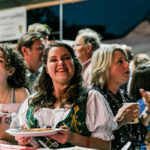 This entry was posted in Events, Festivals, Food & drink, Uncategorized and tagged Fredericksburg Octoberfest, Fredericksburg TX festival, Octoberfest, Texas Beer Festival, Texas Hill Country food festival, Texas Hill Country Octoberfest by admin. Bookmark the permalink.